The Nintendo Game Boy is 30 years old this year. Let that sink in. Allow the ravages of time to slowly wash over as you realize that you are old, and that everything around us is decaying. The top of the range handheld console from Nintendo was a complete game-changer at the time, selling out its entire stock of 300,000 in its first two weeks on sale in Japan, and spawning a long line of incredibly popular handheld models such as the Game Boy Colour, Advance, and SP before morphing into the DS, and eventually the 3DS. Even when Nintendo weren’t exactly ruling the roost with its home consoles (sorry, GameCube and Wii U), it could always rely on its handheld output to keep the good times rolling. It all started with the classic Game Boy; an ugly grey brick with a murky screen and some of the finest and most inventive damn games around. 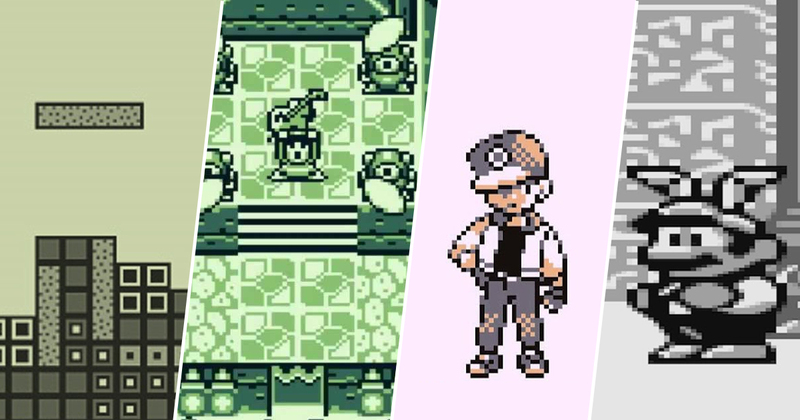 With that in mind, let’s take a look at the ten Game Boy games you absolutely need to play. To be clear, we’re looking at the “classic” Game Boy only, which means no Game Boy Colour titles. If nothing else, it’d take your mind off the fact that you are old, and everything around us is decaying. 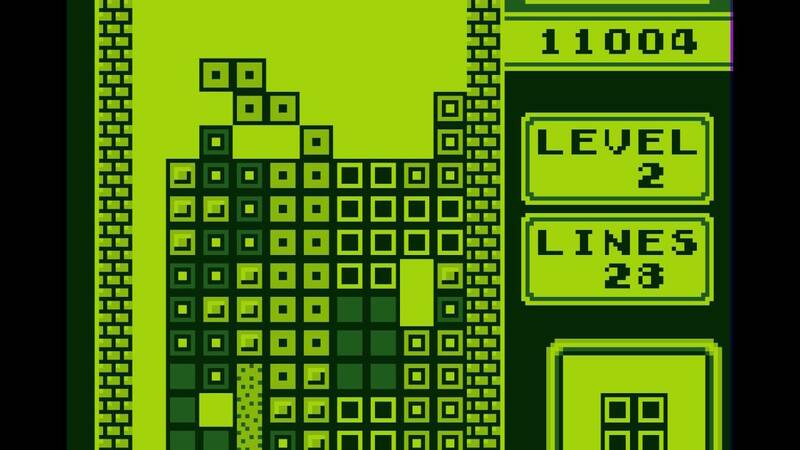 If you’ve ever wondered exactly why the Game Boy blew up in the US and Europe, the answer is probably Tetris. This iconic puzzler is one of the most enduring and addictive video games of all time – it’s ridiculously easy to pick up and learn, but impossible to master or ever put down. You only need to look at recent hits like Tetris Effect and Tetris 99 to see how developers are still coming up with fresh takes on the game that remain true to its ingeniously simple premise. While it had existed in various forms before the Game Boy version, it was Nintendo’s handheld take on the game that really ensured its place in the history books. Hell, even The Avengers themselves can’t resist a bit of classic Tetris on their downtime. Everybody’s favourite pink puffball first arrived on the scene in Kirby’s Dream Land, a gorgeous little portable adventure from HAL Laboratory and Masahiro Sakurai, who would later go on to create the juggernaut Super Smash Bros franchise. 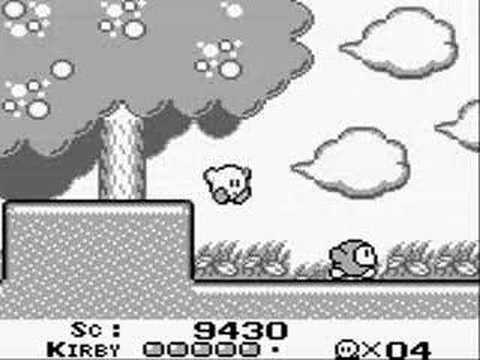 While Kirby’s first game didn’t have his now-iconic ability to copy the powers of various enemies, it was still a fun and accessible romp for all ages that was perfect for the handheld console. I still can’t get over the white Kirby on the box art though. The poor little guy just looks ill. The second Castlevania game to hit Game Boy is great little title for two main reasons: The first is that is has absolutely nothing to do with Castlevania II: Simon’s Quest on the NES, which is good news because that game was an absolute dumpster fire and I won’t be talking about it again here (or hopefully ever again). Truly, the only Castlevania II worth playing is Belmont’s Revenge. The second reason for this is because – much like Kirby’s Dream Land – it was made specifically to make the best use of the Game Boy’s portability, offering up a leaner, tighter experience than its predecessor. If you want to relive a time where we actually used to get Castlevania games, you could do a lot worse than Belmont’s Revenge. What more can be said about the original Pokemon games that hasn’t already been said? Pokemon Red/Blue (Red/Green in Japan) changed the world, replacing Tetris as the Game Boy’s killer game and dominating the public consciousness in the process in a way that very few games since have managed to do. Two years later, Yellow was released as a special edition with a few cool differences, such as a Pikachu starter Pokemon that followed you around, and the ability to get Charmander, Squirtle, and Bulbasaur without trading. 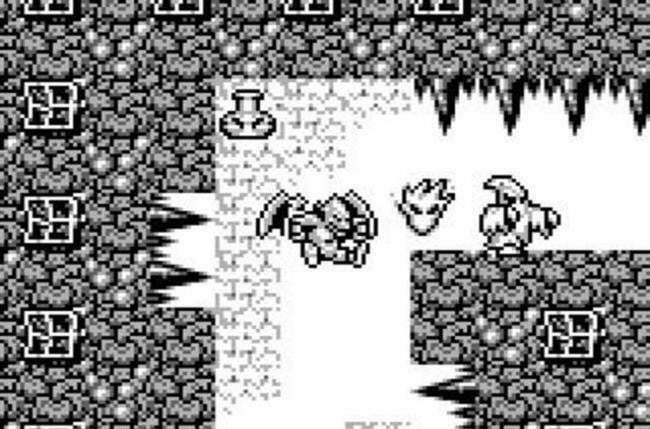 That game alone probably helped prolong the Game Boy’s life for years longer than anyone expected. While these days you can probably play Red/Blue/Yellow on your calculator, it was a staggeringly huge world to have crammed into a portable device for the time. Players could explore forests, fields, towns, mountains, and caves, in world brimming with personality and charm. The game’s real strength came down to an ingenious battle system and 151 beautifully designed Pokemon find, catch, train, and even battle with your friends. 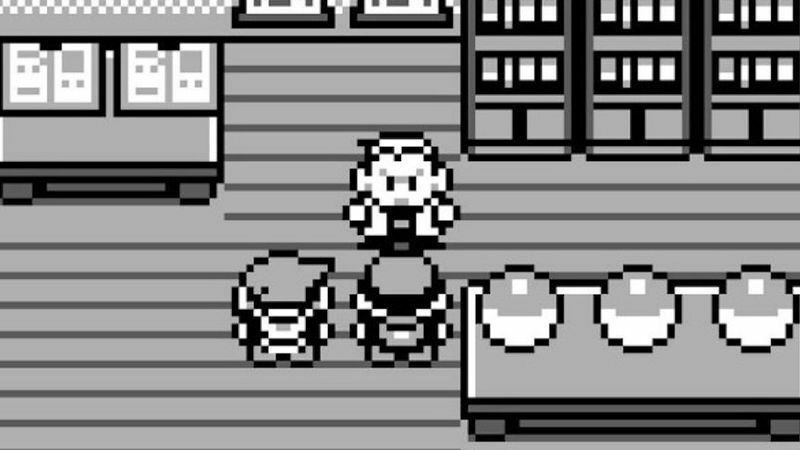 There’s a reason Pokemon has remained one of the most popular franchises in the world, and the core formula for its whole success was present from the very beginning. While this 1994 version of Donkey Kong starts off with the same four levels as the arcade classic, it quickly changes gear and becomes a delightful puzzle platformer in which our plumber friend jumps and flips his way through a huge selection of challenging and genuinely imaginative levels. I would have been happy with a straight port of the original arcade game, but the fact Nintendo went and built an entirely new game based around the classic’s premise is just such a joy. Plus, you can throw barrels at Donkey Kong this time. See how you like it, you damn dirty ape. Mole Mania isn’t a heavy hitter in the same way as Pokemon, The Legend of Zelda, or Mario. In fact, you’d be forgiven for never actually having heard of this 1996 curiosity – but you’d be missing out on one of the most inventive and downright fun titles the original Game Boy has to offer. 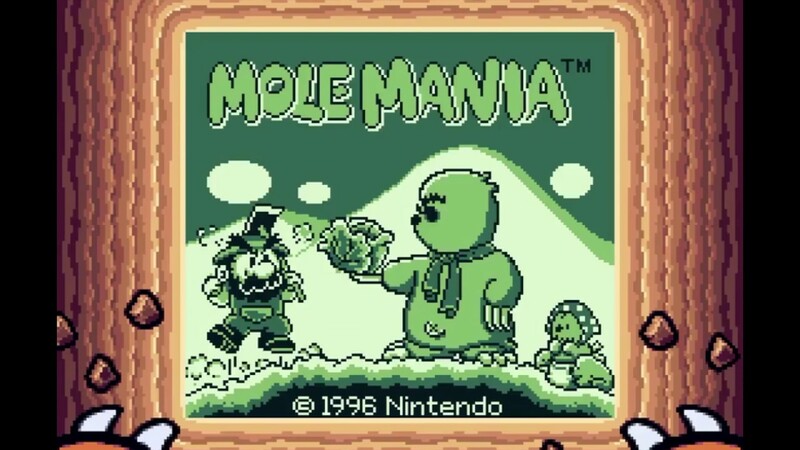 Developed by Shigeru Miyamoto himself, Mole Mania is an outrageously charming puzzle game with a simple premise that – in typical Nintendo fashion – becomes increasingly challenging as various surprising new obstacles and elements are introduced. With a gorgeous soundtrack, stunning visuals for the time, and more soul than most modern AAA titles, Mole Mania deserves more love than it gets these days. If you own a 3DS, I strongly urge you to grab the Virtual Console version from the store. Super Mario Land was a fine game, and a great launch title for the Game Boy, but it didn’t quite feel like a classic Mario game to me. Maybe it’s the fact that you had to beat it in one sitting, which was very much at odds with the Game Boy’s portable ways, or maybe it’s just because I was awful at it. I suppose we’ll never really know. 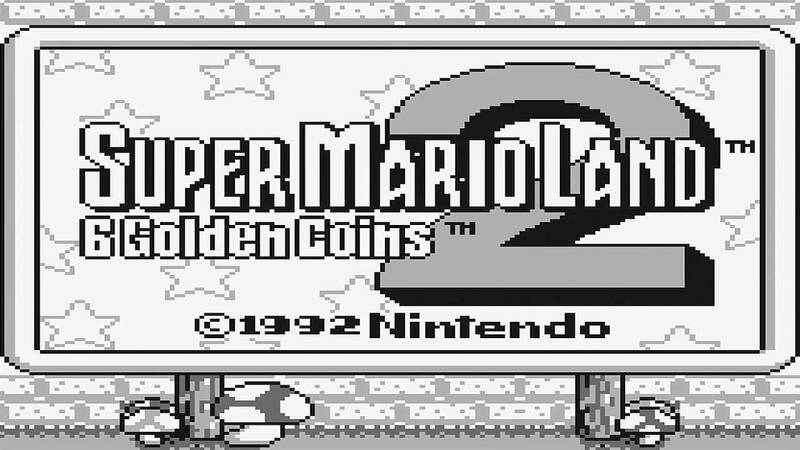 Super Mario Land 2: 6 Golden Coins on the other hand, just gets everything right. The short levels could be completed in any order thanks to a snazzy world map, the worlds were gloriously inventive (who could forget running around inside a giant clockwork version of Mario? ), and the bosses – oh man the bosses were great fun, and not a Bowser in sight. Oh, and if you got Game Over you’d have to go back and fight all six bosses again before you’d be allowed back in to Wario’s castle for the final challenge. Brutal, yet fair. 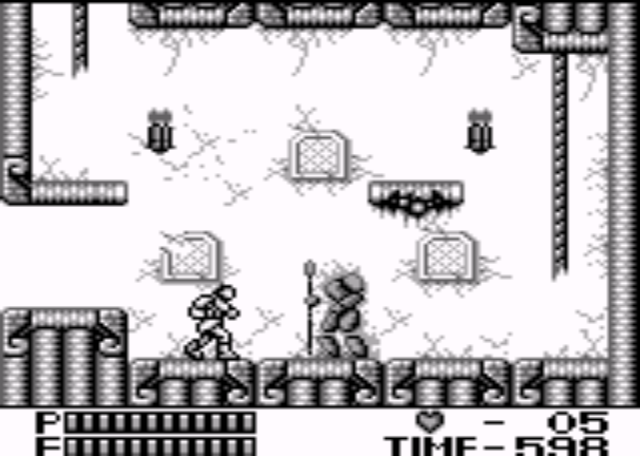 Gargoyle’s Quest is actually a Ghouls N’ Goblins game told from the point of view of one of the franchise’s villains, but it has more in common with Zelda II: The Adventure of Link than any other game. Players explore the world from a top down perspective before diving into challenging side-scrolling battles, just like in the second Zelda. Unlike the second Zelda, however, it doesn’t want to make me pull my own teeth out in frustration, so that’s nice. The game was really well received by critics at the time, with one boldly proclaiming it was a system seller. While I’m not sure about that, it was a genuinely good time and did well enough to warrant a sequel on NES a few years later. 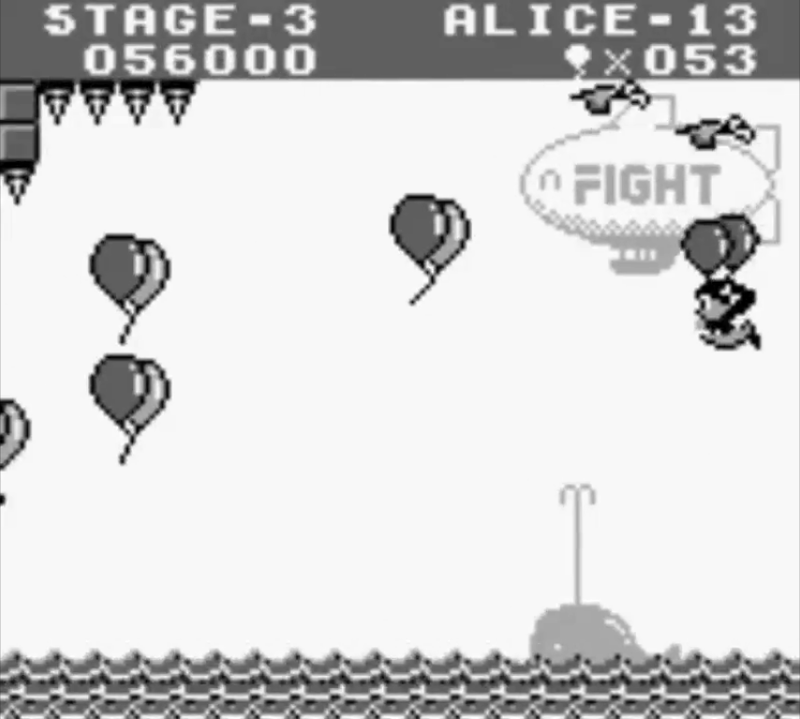 In the same way that Donkey Kong for Game Boy expanded on the original arcade game in delightful news ways, Balloon Kid was a fun evolution of the NES classic and Satoru Iwata passion project Balloon Fight. It’s hardly the most complex game, as all you really do is float around and pick up balloons while avoiding the occasional enemy and obstacles, but it’s gentle pace and steady challenge made it another perfect fit for the portable device. Back when I was a kid, the idea of being able to play an entire Zelda adventure on a handheld console was some science fiction nonsense. We’d get flying cars before such a thing were possible, I thought to myself. Of course, these days you can play Ocarina of Time and even Breath of the Wild on handheld devices, and there are no flying cars to be found. 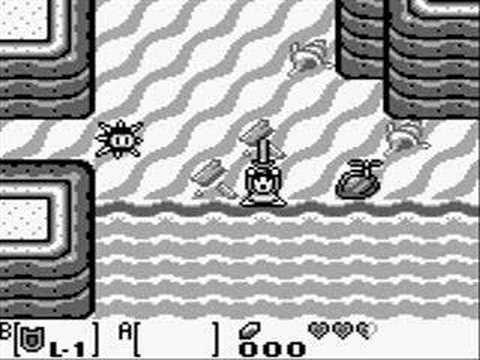 Link’s Awakening will always hold a special place in my heart for being genuinely mind blowing at the time, though. This isn’t some watered down pocket version of Zelda, this is a fully fledged, top down Legend of Zelda game just like your mum used to make, complete with some of the smartest dungeons in the franchise, a beautiful soundtrack, and a fearsome lineup of boss battles. Koholint Island is full of mystery, memorable characters, and… enemies from Super Mario Bros, for some reason. I don’t know why Goombas and Chain Chomps are running around the place, but I just learned to embrace the wackiness of it all, which makes the game’s shock ending all the more affecting. Link’s Awakening is more than one of the best Game Boy games, it’s also easily one of the best Zelda games of all time. I’m deliriously excited for the upcoming Switch remake, and I’m sure I’m far from the only one.